Live the life of a Maharaja for the short span of your vacation to Rohet by accommodating in one of the heritage hotels present in Rohet. During your stay at a fairytale palace furnished in opulent luxury enjoy riding an elephant into a grand courtyard, dinning in the Durbar Hall along with enjoying folk dance performance. 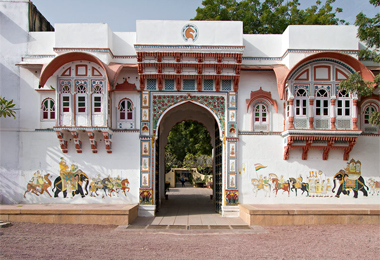 The heritage hotels in Rohet recreate medieval grandeur in their décor, facilities and style of serving their guests. To accommodate the modern lifestyle no new building has been added in the renovation process, but rather, old edifices have been skillfully redesigned to create a heritage property that has few parallels. The staffs of the heritage hotels in Rohet are specially trained to conduct themselves and serve in the manner of the retainers of the yore who served the kings and queens with utmost care. Indulge in the majestic facilities available at the heritage hotels in Rohet and enjoy a glimpse of regal and scintillating Rajasthan culture. The Heritagehotelsofindia offers you to experience royalty by residing at one of these lavish heritage Hotels in Rohet.